If you recall a few weeks ago I posted a request for some help for a journalist, Terry Ott of Canada. It was simple, if anyone who reads this is a former Canadian Football (CFL) player or knows a former CFL’er, could they contact Mr. Ott for a story he is doing on concussions in that subset of professional football. The good news was that people responded, albeit a small number, it was more than he was able to find doing his journalistic thing. It made me happy that this blog could help out someone looking for information, because that is why it occupies a space. But………….. In the post below, that Mr. Ott wrote, you will see that by using this blog it may have stonewalled any help from the CFL, its Players’ Association or the Alumni Association. Mr. Ott titled this post “CFL Follies” and I cannot think of a better title for what you are about to read. I’d imagine that most reading this Blog will have heard of League of Denial. But, I doubt you have heard of League of Non Denial, Denial. In addition, the CFLPA will no longer respond to my questions about concussions, nor will the CFL Alumni. Unlike the sometime adversarial relationship between the NFLPA and the NFL, all seems to be koom-by-ah up here in Canada between the CFL, the CFLPA and the CFL Alumni Association. In a post on their website, the CFL Alumni claim “a partnership” with the league and the CFLPA, and they also note that “the players lived the dream… the families lived the nightmare,” but without specifying what that “nightmare” actually was/is. The CFL Alumni apparently does not want any laundry publicly presented, and today, I was asked by an official to basically provide some of my sources under the heading of, do the right thing for the players. I’m cynical about that request, to say the least, and declined. And imagine that; I don’t even hate football! I have been professional and respectful throughout my investigation, now at six months, and yet I have been shut-out, ignored, black-listed, fibbed to, and today called “disingenuous” by an Alumni official for even posting on this Blog. All I am trying to do is find out what the CFL intends to do with what may be a wave of former players with concussion issues. They can circle the wagons all they want, but I really doubt this problem will just go away singing we shall overcome. The CFLPA has told me that there has been baseline testing of players for “several years” but that that info is private. However, is it shared with the League?Mr. Morrreale also said he was unaware of a self-reporting study noted in the book League of Denial (scan attached, half way down the page) which found a “near 50% incidence of concussions” in CFL players who participated. Does the CFL know about this previously conducted study? 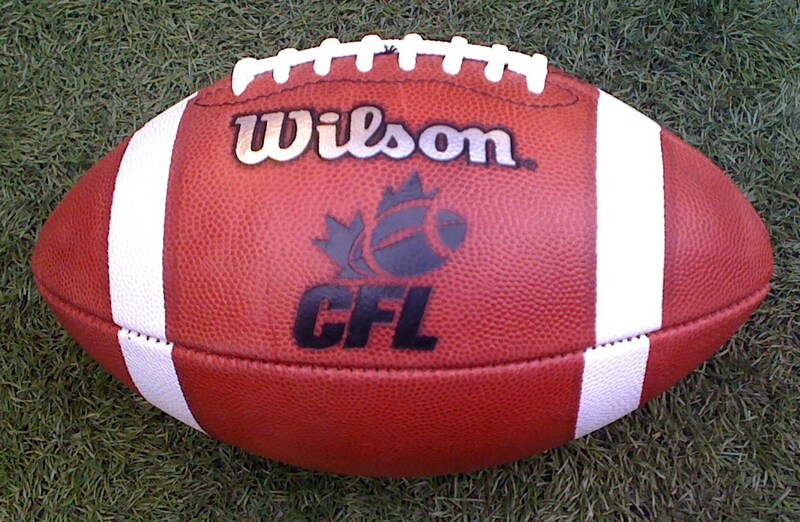 In addition, is the CFL aware of the work/research of Dr. Hoshizaki at the University of Ottawa on the MIPS helmet system that claims a 50% reduction in concussions from rotational and linear forces but that is not based on the now discredited Riddell Revolution helmet technology that had made similar concussion-reducing claims. Further, did the CFL ever use or evaluate the Revolution helmet? Is the league monitoring the aforementioned new MIPS helmet system currently in development as per your previous e-mailed statements about “reviews” of helmet technology? And regarding the recent dropping of Riddell as the “official” helmet supplier to the NFL, does/did the CFL have/had a similar arrangement with Riddell and intend to follow suit? Did the CFL, like Football Canada, send a rep to last week’s International Concussion Summit in Niagara where the agenda was heavy with football related concussion issues? Given some pretty compelling medical evidence linking long-term brain damage and CFL football-see the U of T’s Dr. Tator’s recent May 24/2013 study-I am curious to hear from you, or any other CFL official what the league’s long-term, and short-term plan is on dealing with such a possibility. Does the CFL have a plan similar to the NFL’s “88 Plan” to assist former players with football related brain injury or is that something that only the CFL Alumni Association is undertaking at this time but that in their case is heavily weighted towards care provided by our Canadian health care system but which is not of any use to former players returning to the United States after their careers. Finally, does the CFL in fact believe, as the NFL stated in 2009 regarding their league, that there is, however limited, situational and individual, a causal link between playing CFL football and brain injury and long-term disability in some players? Your thoughts on these questions, as well as anything else you believe pertinent, would be greatly appreciated. In my humble opinions, it seems Mr. Ott is doing proper work and asking pertinent questions that would or could have an impact on concussion issues/cases/problems in Canada. I don’t know how the questions are “loaded” unless the answers are really bad; that being said each professional league can do what they want, in terms of employees. However, not taking player welfare seriously or doing nothing with (which I am uncertain about since they have not answered Mr. Ott’s questions) information about players ailing is probably not a good thing. I know the CFL reads this, I have been told by Mr. Ott they are aware of these posts; because of this, if the CFL wants to respond just send me an email. However DO NOT CALL THIS BLOG DISINGENUOUS, CFL. This blog has been put here and maintained by me to further the discussion on concussions. Perhaps Ottawa or is it Toronto (where the League Offices are) could do themselves a service and spend some time reading the information provided here.